In case you missed the teaser for the FOTT x Reebok Classic Collab Teaser from last week, here is a closer look at the Reebok Ventilator set to release this upcoming weekend. Russian retailer, FOTT, collaborates with Reebok on this classic silhouette utilizing a formidable color palette of Paper White/Chalk/College Royal/Mint poised with mesh, suede and leather materials. 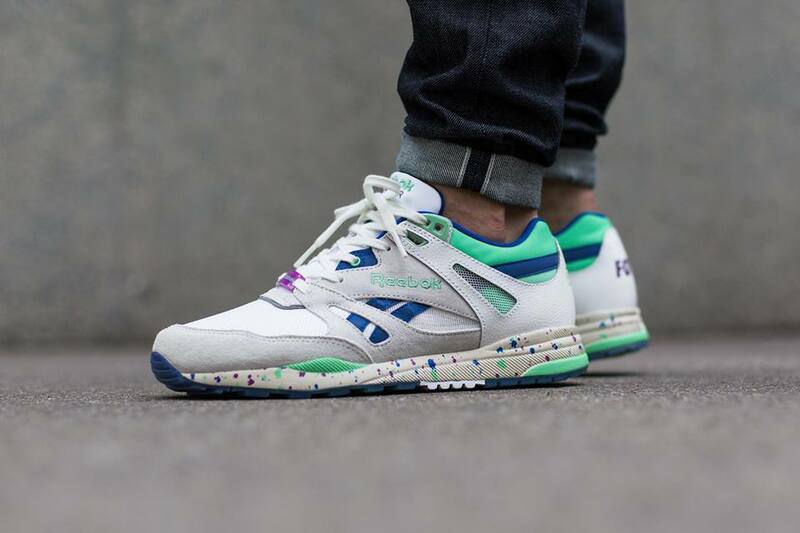 This retro runner features a speckled HEXALITE midsole and a purple Reebok-branded lace lock. To complete the collab, the heel sports an embossed “FOTT” in purple. You can purchase your pair August 29 at Reebok Certified Network stockists worldwide and of course from FOTT themselves.